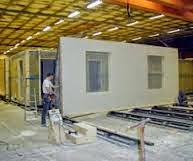 Lindbäcks, a modular factory with offices in Piteå, Sweden, will spend almost $50,000,000 doubling capacity this year. They currently produce about 13,000 square feet per week, and will double that to 26,000. They will ship by truck, rail and sea. 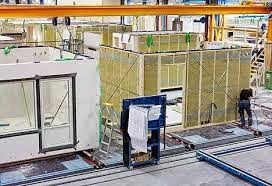 Having grown 20% a year for the past several years, they landed an order for 2,500 modular apartments to be built and delivered over the next 5 years. This contract alone is for $350,000,000. 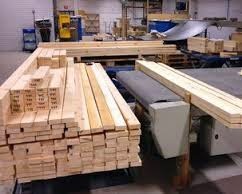 The firm's factory is based on wood construction and uses the same techniques found in most US modular plants but with the added benefit of tons of automation. Check out the factory pictures and then watch the 10 minute video. I know, they all speak Swedish but it is worth watching. I love the language, it's like listening to the Swedish Chef from the Muppets. Also check out the video at the end featuring the Swedish Chef as the new SportsCenter Chef.